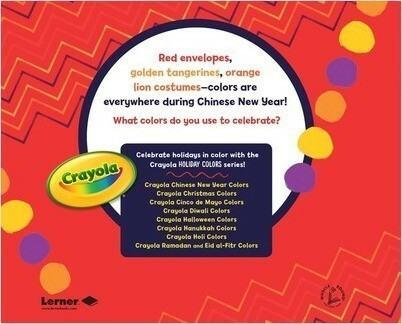 What do red envelopes, green fireworks, and golden tangerines have in common? All are part of vibrant Chinese New Year celebrations! Celebrate the culture and customs of Chinese New Year by learning about the holiday’s colors through eye-catching photos and engaging text. Back matter features the Crayola® colors used throughout the book and includes a reproducible coloring page.